I was having a rough day and needed to remove myself from reality, so I grabbed my keys and went to the local Walmart. If there is one place to make me feel better about my life, it’s the Walmart in Providence. Overalls? I have been looking for a pair for YEARS now. 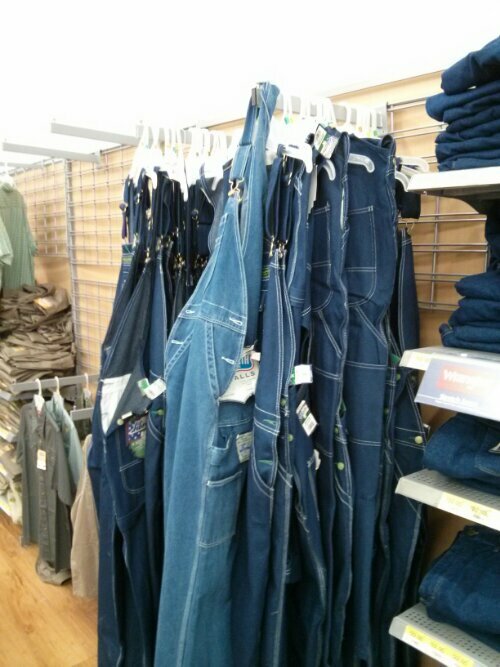 Figures Walmart runs the monopoly on denim overalls in the greater Providence area. You never find this good of a selection of denim in the North East. Never. 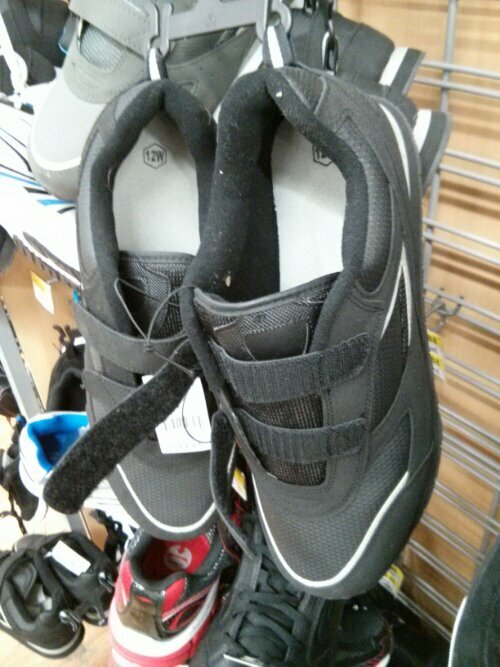 $20 velcro sneakers? I’ll take two! 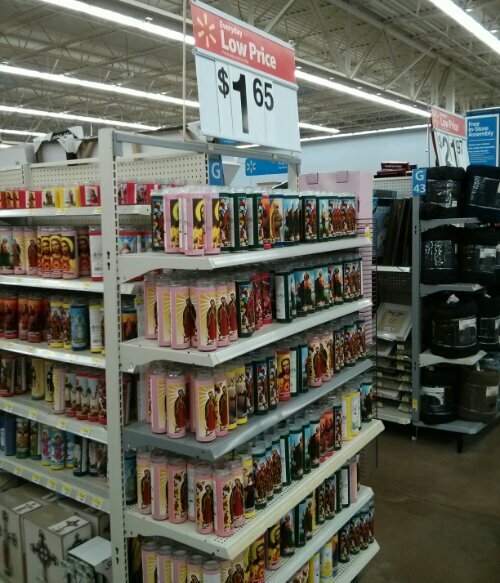 Can never have too many Jesus candles, and they’re on sale! 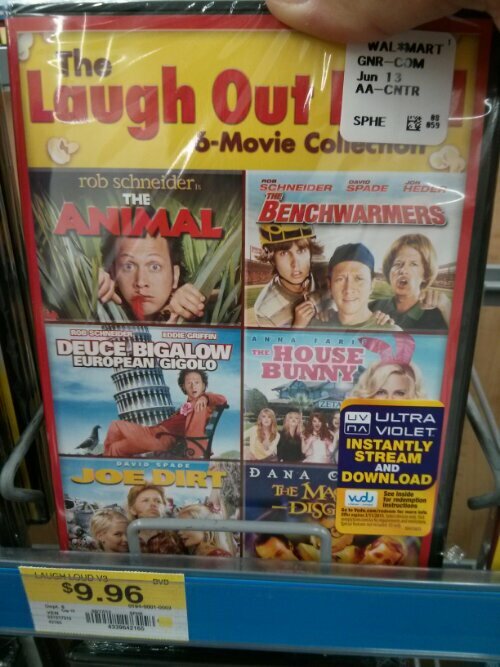 I call this “The Movies Who Were Robbed an Oscar” DVD combo pack. Gotta love the flask selection at checkout. Not one size, two sizes. Posted on August 22, 2013, in Average Blog Posts and tagged jeans, movies, overalls, walmart. Bookmark the permalink. Leave a comment.